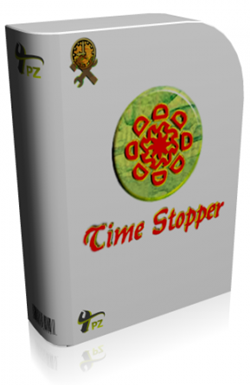 Time Stopper is a tiny utility which eliminate the time limit existing into trial software usage period. Time Stopper Software works with any software executable file and practically will extend the trial period of the program for an unlimited amount of time. Time Stopper will not modify the time and date of the operating system, therefore is safe to use. Using Time stopper you can use trial version software without expiring. If you don't have enough trial period of any trial version software you can extend the trial period using Time Stopper (Source : Time Stopper). Note :- This software is only for educational purposes and please do support the software authors to purchasing the software which you really want. Time Stopper is not for all trial versions of the world. According to the brother soft and cnet Time Stopper had been listed under best 50 utility software of the world. First of all download Time Stopper software from below links according to the browser your are using. Now extract the Time_Stopper_Setup.rar on your system. If you don't have any .rar file extractor then download it from here. Install now and open it to use on your computer or system. Browser for the .exe file of the software, you can find it in your C drive easily. Now just choose a date say your trial period is expiring today then just choose a date of after two days and create a shortcut on the desktop. That's it, whenever you want to use your program just launch your shortcut. So it was all about time stopper software which is used to stop trial period of softwares. Use this software only for educational purposes. If you have any query of doubt then feel free to leave a comment below in the comment section.